Apple on Thursday sent out an email blast notifying users of the erstwhile Beats Music service that they have until Jan. 19, 2016, to transfer playlists, song picks and preferences to Apple Music before that data is flushed. When Apple announced it would shut down Beats Music services in November, the company said it would give existing subscribers time to port user data over to Apple Music, but failed to specify an exact deadline. According to the note sent out today, Jan. 19 is that date. 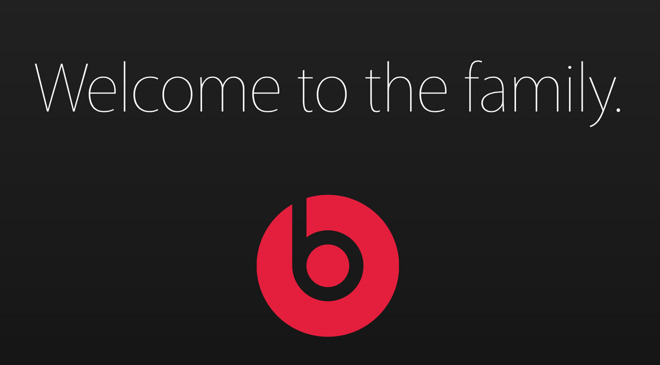 Beats Music went offline on Nov. 30. Along with the reminder, Apple's email also includes a link to activate a free three-month trial of Apple Music, notes 9to5Mac, an option also advertised on Beats Music's support webpage. The same offer is extended to all new Apple Music users as an incentive to drive adoption. Apple spent $3 billion on Beats last year, deciding to keep the audio company's hardware division a standalone brand, while absorbing its software assets. More importantly, the buy netted high-profile executive acquihires Jimmy Iovine, Dr. Dre and Trent Reznor, industry heavyweights that helped massage Beats Music's curation and playlist generation features into Apple Music. The execs also spearheaded development of the live, DJ-hosted Beats 1 Radio station, a unique —and free —service not offered by other industry players. Apple Music launched in June as an iOS exclusive. Shortly after the first three-month trial period ended in October, Apple CEO Tim Cook revealed more than 6.5 million paying subscribers, with another 8.5 million still testing it out. Apple Music has grown beyond iOS to land on the fourth-generation Apple TV as a tvOS app, while the Google's Android.